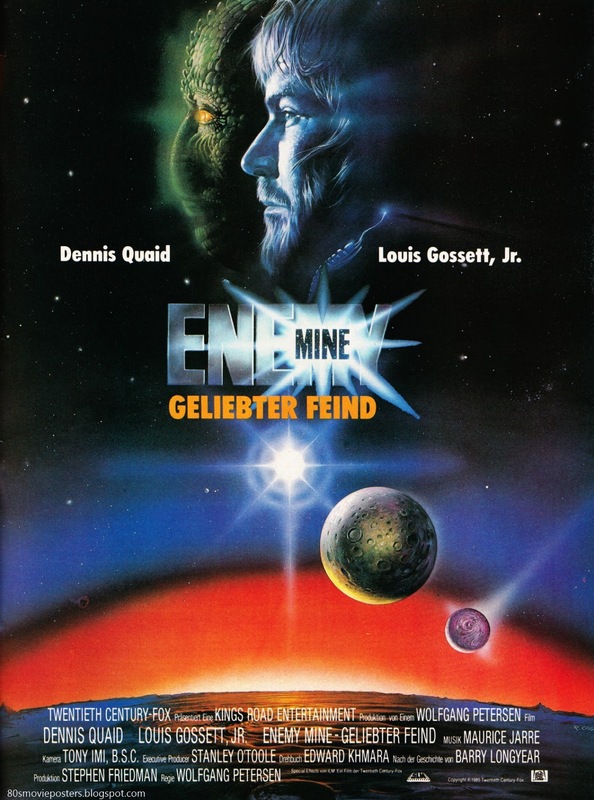 Enemy Mine is one of the first films that truly affected me as a child. It is a film that my family and I still quote to this day. It is a tale that I feel will always be relevant, as it is a story of mortal enemies settling their differences and realizing how similar they are. It is about finding who you truly are. This is a story that anyone can relate to. It is a gift. It is heart-wrenching and timeless. I remember being shocked the first time I Saw “Jerry” the Drac portrayed by Louis Gossett Jr. To this day, I completely forget that it is him playing the role. I fully believe he is the character. This is also the film that introduced me to the legendary Dennis Quaid. He is perfect as the hot-headed lone wolf fighter Pilot, Davidge. This is one of those films where I cannot imagine anyone else being cast in these roles. In addition to groundbreaking makeup effects, the set pieces and visual effects are a marvel and still hold up to this day. The other thing that deeply moved me as a child, and heavily influenced my own music career, is the immaculate score by Maurice Jarre. His body of work is nothing short of incredible. From Lawrence of Arabia to The Mosquito Coast (another personal favorite) and Witness, he is one of my absolute favorite composers of all time. He successfully walked the line between orchestral and electronic while always maintaining his artistic integrity and style. I wouldn’t even dream of trying to score this film if the original hadn’t influenced my own music in such an impactful way. This film has always been close to my heart. When I was approached by Puget Soundtrack, I knew immediately that this was the film I wanted to do. I feel so privileged to honor it in such a way and share it with you all.